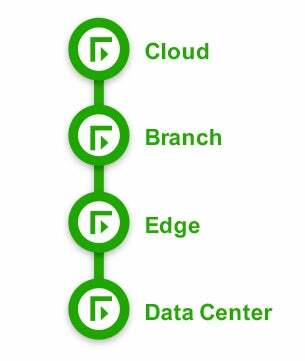 Forcepoint Next Generation Firewall (NGFW) makes it easy to connect your people to the data they depend upon throughout your increasingly distributed network – from data centers and the network edge out to branch offices and cloud environments. Rich integration of broadband, MPLS, and our centrally managed SD-WAN technology helps you reduce networking costs, improve capacity and connect your branch offices directly to the Cloud while maintaining full visibility across your entire network. IDC Research found that customers who switched to Forcepoint could deploy firewalls 70% faster than with their previous vendor. All Forcepoint NGFWs are powered by a unified core, providing consistent capabilities, acceleration and management across all environments that adapt to your network as it evolves. You can secure your virtualized data centers and move workloads to the Cloud without having to assemble a patchwork of systems. Customers with cloud workloads get the same industry-leading protection in AWS and Azure as they have in their on-premises data centers, offices, branches and stores — all managed from the customer’s existing SMC. Forcepoint’s Multi-Link technology provides centralized SD-WAN control over multi-ISP broadband and MPLS links, combined with our unrivaled breadth of security. You can safely connect your branches and remote offices in the most appropriate ways for each one. Traffic to SaaS applications like Office 365 can securely be sent straight to the Cloud over inexpensive commercial links; inter-office data can be directed over dynamic VPNs; and voice and sensitive enterprise applications can use dedicated lines to your data centers. Cut costs, boost performance and ensure security – all at the same time. 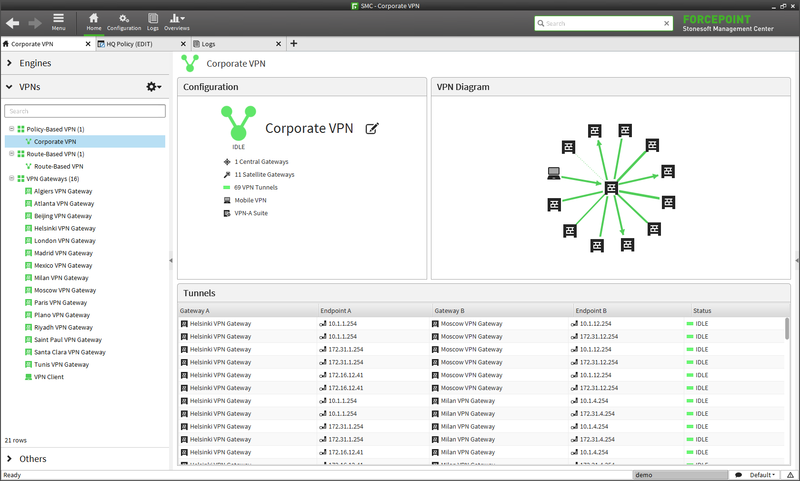 Deploy branch or remote offices and set up virtual private networks (VPNs) in minutes – not hours – with the Forcepoint NGFW Security Management Center (SMC). Create different topologies (e.g., hub-and-spoke, star, full mesh networks) with just a few clicks using SMC’s intuitive drag-and-drop interface and the ability to associate policies to groups of appliances. As you deploy more workloads into virtualized environments, Forcepoint’s virtual NGFW gives you the ability to control access to and among those applications. Most Forcepoint appliances have extensible network interfaces for added flexibility. If you repurpose your appliance to a different type of network or your bandwidth needs grow, simply swap in a new interface and save yourself the trouble and expense of replacing the entire firewall.